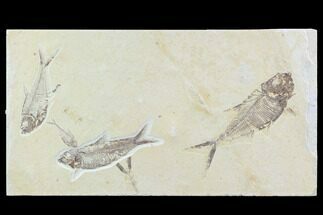 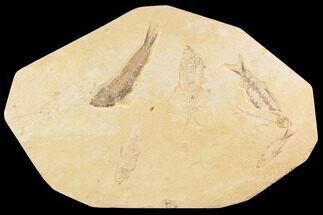 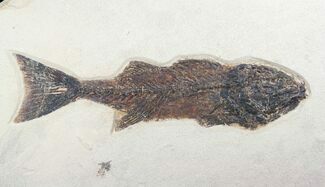 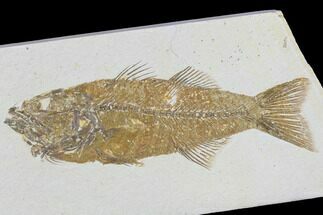 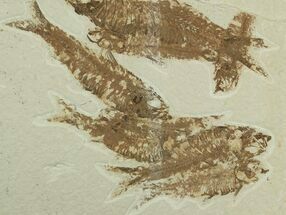 This is an detailed, 10.3" long example of Mioplosus labracoides from the Green River Formation of Wyoming. 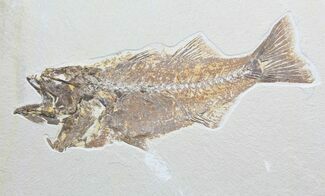 It was collected this summer at Warfield's Quarry near Kemmerer. 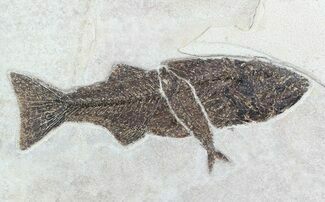 Very nice detail including fins, scales and bone structure with good preparation work. 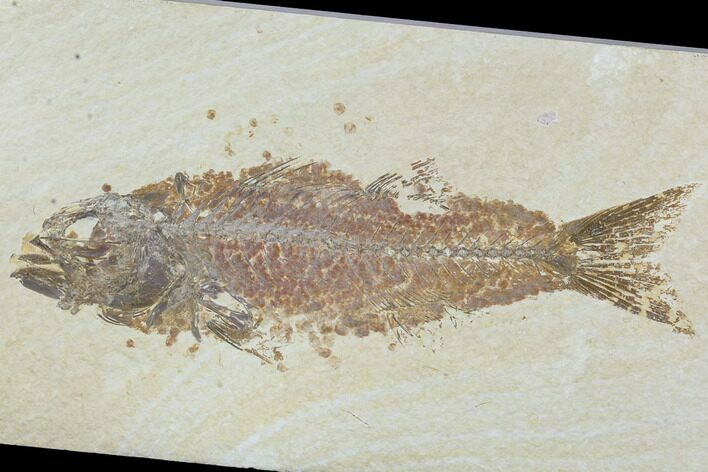 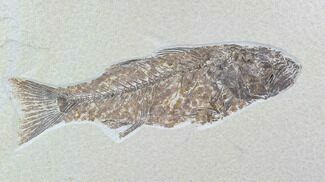 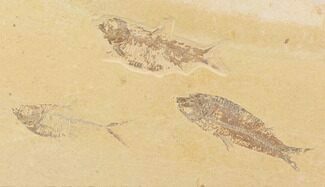 Some of the scales have started to shed away from the body prior to fossilization.